It's still winter and I cannot wait until it's Spring, so I decided to incorporate some fun into my wardrobe to tide me over until it comes. This DIY is so easy and straightforward, and you can definitely create not just one but a few pairs to give away as gifts for your girlfriends! Step 1. 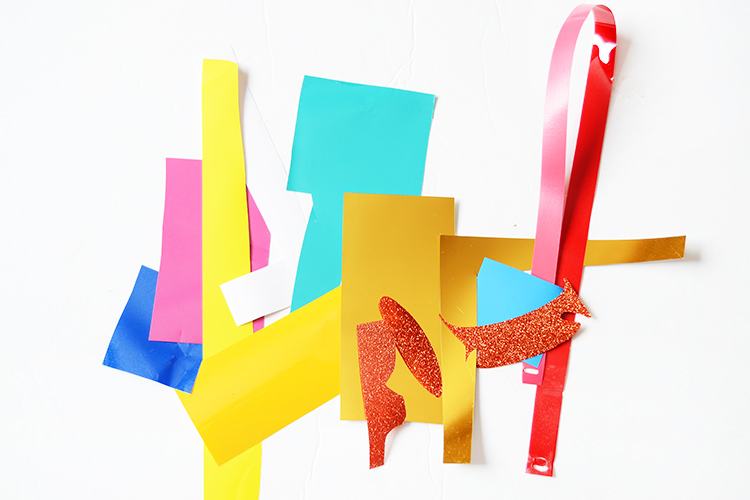 Gather your Heat Transfer Vinyl scraps - this is a minuscule portion of my scraps collection. I don't know if I should be embarrassed or not, but I hoard every single scrap I can get, figuring I would be able to use them for something at some point. Hey, it works! Step 2. Using a pair of scissors or your Silhouette Cameo (for uniformity and a much easier time), cut some long rectangles. 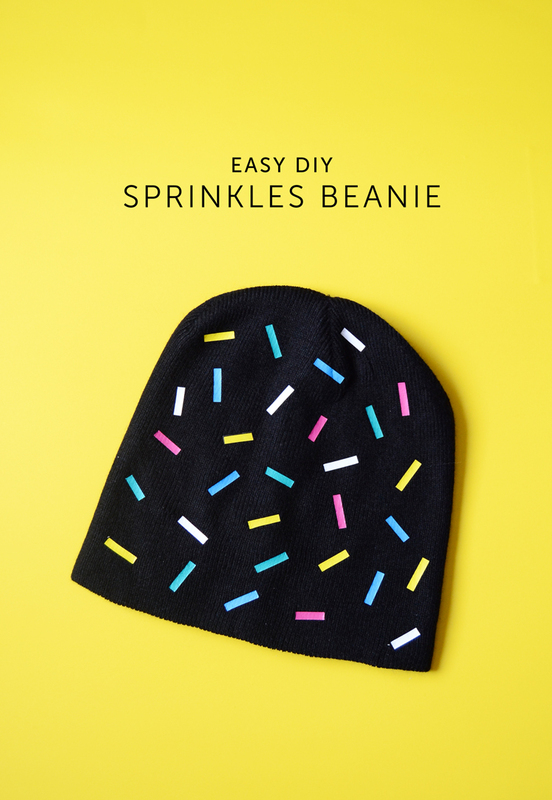 You can vary the length of the rectangles to give your sprinkles a more realistic look, or even round their corners. I stuck with rectangles but created it in different lengths. Step 3. 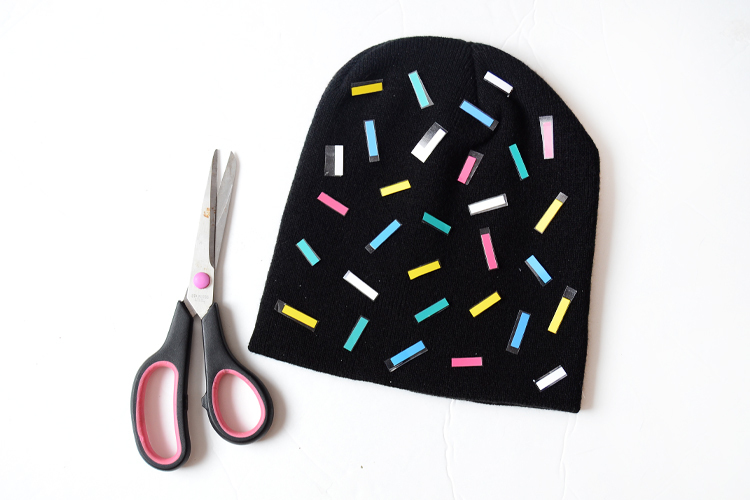 Once cut, arrange the different pieces of vinyl onto your beanie and press with your iron or heat press. I used a heat press for mine and it turned out great! Remove the carrier sheet on top of the vinyl pieces and you are done. As I said, easy peasy lemon squeezy ain't it? I kinda want to create coordinating mittens too, and maybe even a scarf. 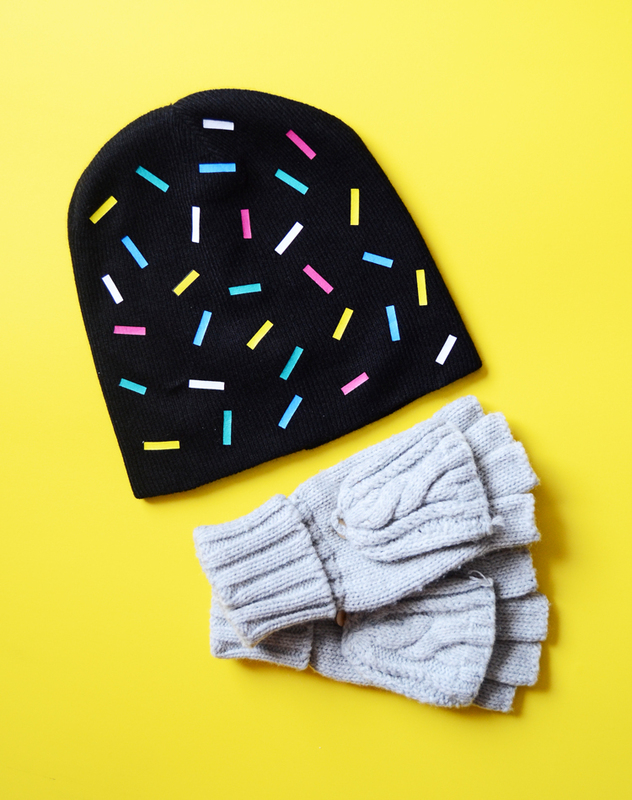 What winter wear do you like wearing - hat, scarf, mitts or all of them? Happy crafting, friends!